This past week we welcomed our 18th and final calf of the 2018 season, nearly a month after our 17th calf. A heifer, making the total 10 heifers and 8 bulls. This year we are on the letter H in our naming system. 18 Hs: Halo, Harold, Hazy, Hera, Heinz, Hugo, Howie, Hena, Heidi, Hector, Holly, Harmony, Hannah, Harvestore, Harley, Henry, Heather…and when #18 arrived I asked our oldest daughter what we should name her. Keep in mind my daughter is 3. 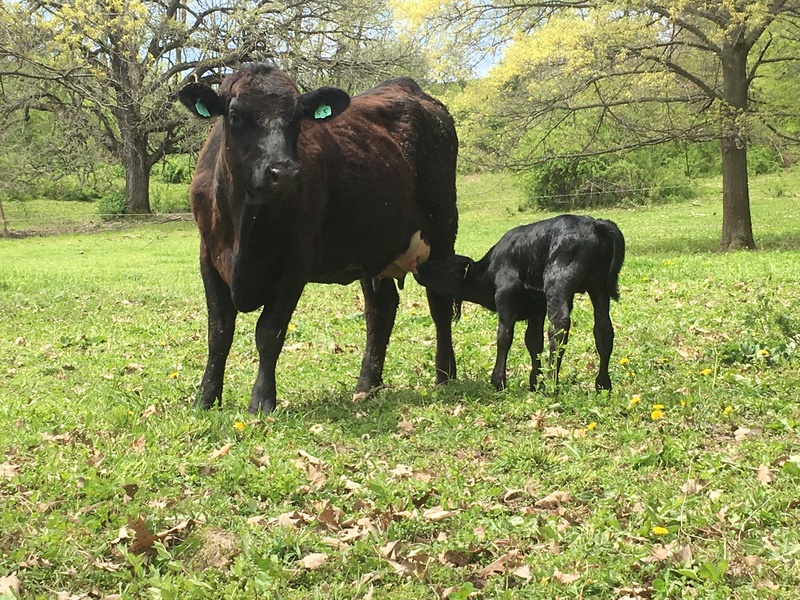 She doesn’t capture much of the concept of what names and words start with which letter and certainly doesn’t comprehend naming our calves on a lettering system. With that said, when I asked her what we should name her, she answered with “Hillie.” I don’t know where that name came from but I knew it started with an H and I knew it was a good name for this new life. On her first day of life, we moved her from the barnyard where mama decided to have her out to the pasture with the herd. On day two we noticed an issue. She seemed to be weak and not wanting to bear weight. After some consideration, we moved mama and babe back to the barn and put them in the stalls. Once there it was obvious something was wrong with Hillie’s leg. I was concerned. Those initial first days are vital in getting the calf off to a good start, feeding, standing, putting on weight, and gaining strength. We could not be certain if the calf was able to nurse so we fed her some colostrum mix that evening and again early the next morning. I called the vet and the made it out in the late afternoon confirming what we thought was likely–a broken leg. She would need a cast and there was no hesitation. Of course, she would get one. I assisted the vet in getting the cast on and prayed that she’d be able to adapt to it and nurse without hindrance. No cast experience is complete without some signatures and drawings from your peeps! The cast is heavy and while she was able to move around, it wore her out and she seemed inclined to rest. Despite having mama and babe confined, and watching when we could, we were unable to witness her nursing or be certain that she was able to. We thought we might have to bottle feed indefinitely, or at least until she got the hang of the cast and built enough strength. We opted for a DIY method first. We put mama in a chute/headgate. She was less than thrilled with the experience but settled in once we got that baby in place. She stood still and was patient as we worked to get the calf into position. It was not the ideal angle, nor as open at the bottom and side as would have been helpful, but we got the calf on and she seemed to grow more eager as she fed. After she had the hang of it, we decided to try to milk the other quarters by hand to collect milk in case we needed to continue feedings by bottle. I worked at it feeling pretty satisfied when I was finally able to get a few squirts out and wet the bottom of the pail. That was until my husband took over and I witnessed the milk come out like a hose while he milked the front and rear quarters simultaneously. I had no idea he had such skills! 🙂 A skilled acquired as the son of dairy farmers and one that you never lose when you trade dairy farming for beef. The calf was able to empty one full quarter and half of another and Cody was able to completely drain two allowing us to collect about two gallons of milk. All the while, our mama cow, Eva, stayed calm and seemed to understand what we were trying to do. Certainly, she did her part to ensure a good start for her baby girl. The strong drive our cows have to nurture and protect is never wasted on me–I was so proud of her. Hillie, like most animals, is resilient, adaptable, and instinctually programmed to survive. It’s going to be a tough six weeks maneuvering with a heavy cast and Eva will be longing for green grass well before the time is up, but the vet says we may never be able to tell she had the break when it’s all said and done. And anytime you have to be this hands-on with an animal, you’re guaranteed a new pet! Our daughter has certainly enjoyed the opportunity to get her hands on a calf and help with the doctoring. These animals are our business. There is a lot of humanity in this business, however. Ensuring quality of life and giving gratitude to the sacrifice they make is weaved into our operation. We love these lives and feel honored to be a part of all we get to witness and experience through the enrichment they create within our lives. I sat next to that new life with so much hopelessness. “What do we do?” I asked my husband. “We’ve done what we can do. Can’t save them all.” To which I responded, “I don’t buy that.” He looked at me in a way to say I understand this is hard, but this is life. I went to bed that night without much success of sleep. My mind raced, I prayed, and I felt sick with the looming reality. Around 5 a.m. I stopped trying to force sleep and went out to check on the calf. This calf was born just three days before from a veteran cow without complication or any indication that something might be wrong. Two days later, Cody noticed the weak condition and lack of weight. He obviously was not nursing. I hurried to the store to purchase a bottle, colostrum replacement, and feeding tube. This is our fourth calving season and until this point, we had no need for those items. Calves are pretty hearty creatures. They quickly gain strength to stand just minutes after birth and begin nursing. They just know. The same is true for the mamas, even the first timers. 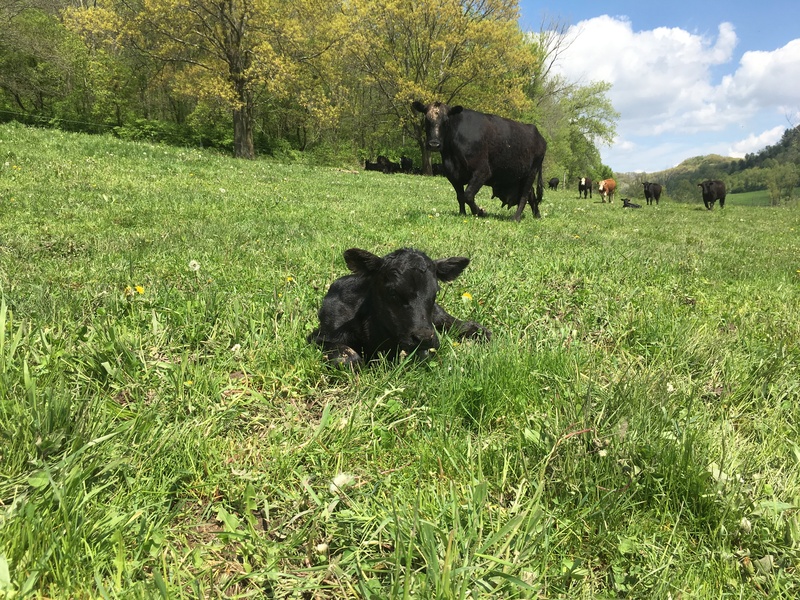 This year I had the opportunity to witness two births–something that had never aligned in previous years with nearly two dozen calves introduced to the farm. Ellie and Discovery both blessed me with the opportunity to watch God’s perfect design and nature’s miraculous harmony. Occasionally in conversation when people learn we are ‘hobby beef farmers’ they are often intrigued by what that takes. They expect long hours on the farm, pulling calves and constant feeding and herd monitoring. There are long days and no shortage of chores. And certainly, we could fill the days with farm-related activities if we did not have other obligations. The reality is we are spoiled with a very functional setup and we take a natural approach to farming which limits inputs. With each new addition, I am in awe at how it just happens. And I am grateful that we can foster what nature intended. But we have experienced farming heartaches when harmony is missing. As I walked outside I could hear the cow calling out. Grief set in. When I reached them it was obvious he was gone. Mama stood over him and let out low moans and groans, over and over. Her hopelessness and desire weighed down on me. I don’t know how long he had been gone, but she stood there with him encouraging him to no avail. The evening before I swear she looked at me in a way that suggested she wanted my help. Helpless, I prayed that our intervention would be enough, but it wasn’t. It was Mother’s Day. While I know cows don’t celebrate or understand this holiday, I still thought it was a pretty crappy day to have this happen to her. And I wished so much that we had noticed a problem sooner. I stood in the barnyard and sobbed out loud protected from anyone seeing or hearing other than my cow and dogs. So many emotions rolled through me. From the unfairness of it all to the feelings of a mother unable to control the world around her. I looked at her swollen utter and was reminded of the days after we lost James when my milk came in and I too was uncomfortable with engorgement but had no baby to feed. The miscarriage of a calf earlier in the year and now the loss of this young, fragile life reminded me of the hurt of our own pregnancy losses–not that it takes much to remind me. Our naming system is on the letter G this year. I named him Grant. He was only granted to us for a short while. A saying I was introduced to when we started this adventure, and one I am not particularly fond of, is, “if you have livestock, you’ll have dead stock.” Farm losses are common and part of the business. Many farmers lose calves each year. We’ve been fortunate to grow a healthy herd and experience very few complications. Perhaps it’s an odds game… that is hard to buy, too. Perhaps I’m too soft. But I know all too well that lives planned for are never guaranteed and that loss is a part of life. 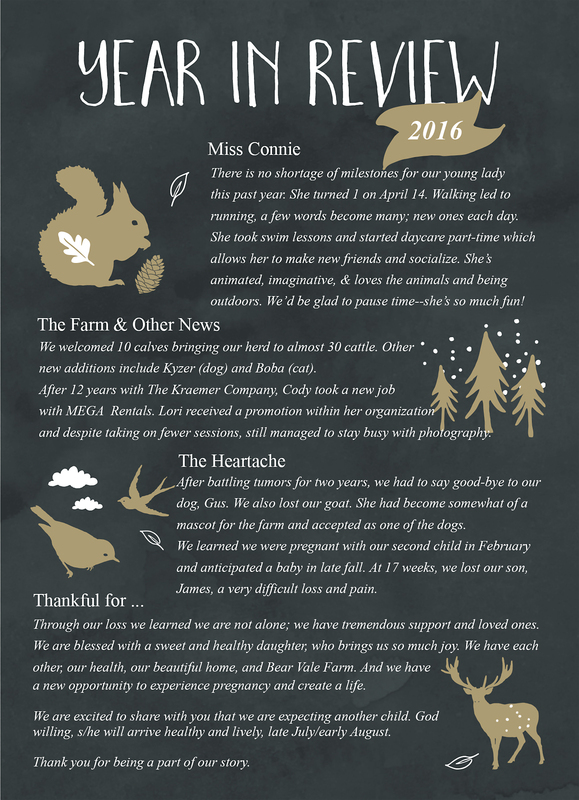 I first started using bearvale.com as a blog site and primarily posted about our adventures in pregnancy and farming and shares of our personal life for journaling purposes. 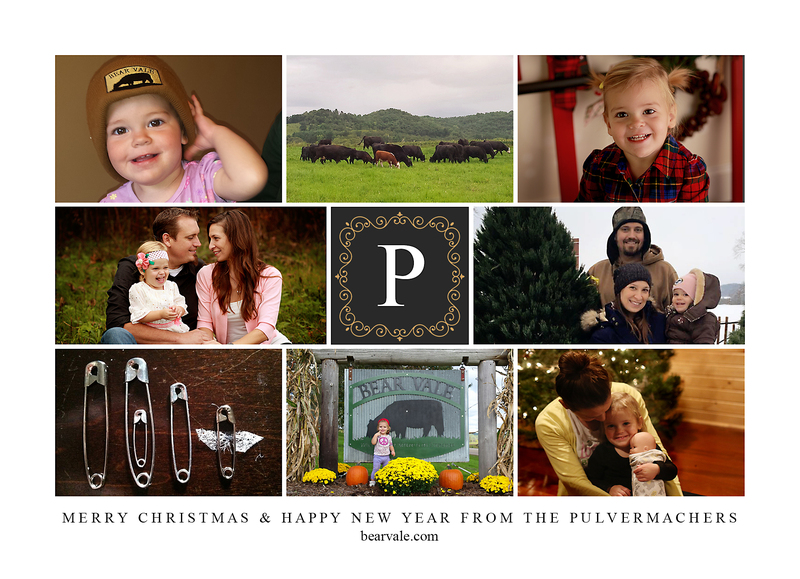 The website then developed to support future marketing efforts for our grass-fed beef operation and as recent blog posts have revealed our most intimate experiences, I felt it was time–overdue perhaps–to separate personal blogging from our farm site. Writing has been powerful therapy for me and I plan to continue but to do so in a new environment better suited for such personal reflections. I also want a platform to write about my passions. To share information I’ve learned from the collective wisdom and shares of other bloggers and countless hours of reading. So while I will still post blog entries from time to time that matches the initiatives of our farm, I am excited to also begin drafting for my new blog site at bearvalelife.com. I gave a lot of consideration to the name for this new blog, one that would capture the essence of all of my passions and the likely topics I’d publish. Most ideas were taken, others were too long to be appealing… With the help of a good friend, I decided on Bear Vale Life. My values and beliefs, passions and interests, adventures and stories….my Bear Vale Life. I’ve copied over past posts to this new site and look forward to building on it. You’ll find posts on pregnancy, miscarriage, nutrition, natural living, gardening, cooking, health care alternatives, organics, parenting, preservation…and anything else that moves me. If any of these interest you, welcome! I’d be honored to have my subscribers of bearvale.com also become subscribers to bearvalelife.com. I hope I can return some value to the blogging world in which I have gained so much from. Happy reading, and to your health–Cheers! The rule is you wait until after the first trimester to share your pregnancy news. After 13 weeks, it is “safe to make the announcement” and accept the congratulations and well-wishes. News Flash! There is no safe zone. Certainly, the majority of miscarriages take place in the first trimester, but that doesn’t mean that when you reach 13-weeks gestation that you magically enter into a promise that you get to complete your pregnancy and bring your baby home. We lost James at 17 weeks. We lost him on the very same day that we went public with our pregnancy. We accepted congratulations and condolences, simultaneously. We were well past the first trimester—we should have been safe to share our news. My OB even made the statement, “We just don’t see many miscarriages this late,” as though trying to understand himself. And what about the parents who lose their babies at 24 or 30 weeks, or at birth? They should have been safe, too. Pregnancy… birth… life… love… all come with risk. Losing James did not hurt more because people knew we were pregnant or because we had to tell them of our loss. It hurt because we lost our son. We lost a child we hoped, prayed and dreamed for. Because people knew, we had support, understanding, and love, rather than grieving alone. My regrets with James center around the lateness in the celebration. I was 16 weeks before I took the first belly pic; 17 weeks before I told work. I was busy with Connie and other life duties… I wish I would have paused more often and reflected on my child during those 17 weeks I had with him. So when we became pregnant again, I decided I didn’t want to wait for some false safety net to share our news. I wanted to exhibit my excitement and rejoice in pregnancy. I wanted those that cared about us to target prayers and positive thoughts on the life I was carrying, that it be strong and lively. And I wanted our loved ones to celebrate with us. At six and seven weeks we told family and close friends. At eight weeks our Christmas cards were hitting the mail which contained the news of a baby due to arrive in the summer. On Christmas day, one day shy of nine weeks, we experienced loss, disappointment, and heartache. Another miscarriage. I could tell that some felt I shouldn’t have put it on our card, that I must regret doing so since we lost yet again with the reveal of our pregnancy. I shared my news ‘too early’. Once again, having people know, especially over the holiday, was more of a blessing than a regret. I did not have to cover up my broken heart during family gatherings. I had empathy, and many needed hugs. As it was with James, I am glad for the support and that I don’t mourn alone. I’m glad that I made this life known–our baby was worth celebrating. Years ago I read an adage that said, “do not begrudge getting older…it is a privilege denied to many.” I’ve tried to always keep that in mind and stop looking at birthdays as an unavoidable march to old age. I’m 37 years old. Thank God, I am 37! Miss Connie was six and a half months when she first traveled to Grandma and Grandpa Pulvermachers in the Wild, Wild West (Webster, South Dakota). We made the trip again this year, a few weeks later than the year before and experienced our first snowfall of 2016, as well as a quality visit.